Tonga came within two minutes of taking a first-ever point at a FIFA tournament as they matched with Caribbean nation Trinidad and Tobago, who scored twice at the end to secure a 7-5 victory. Tonga made a powerful start to the encounter with Mele Akolo opening the scoring a sensational goal in the eighth minute. Seini Lutu, who recovered from the injury which saw her leave Tonga’s opening encounter in Buenos Aires early, then scored the second to extend Tonga’s lead a minute later. The Oceania nation kept things locked down in defence and looked like they were on track to take a two goal lead into the break, only for Afiyah Cornwall to score her first goal. Cornwall, along with Aaliyah Prince, proved to be a foil to Tonga’s dream of a first-ever victory on the world stage as they led Trinidad and Tobago’s comeback in the second half. It was Prince who netted the equaliser two minutes after the restart, before Corwall’s brace gave her side the lead for the first time in the encounter. Lutu had her second two minutes later, but Moenesa Mejias struck back immediately to restore the Caribbean side’s lead. Lutu then netted her hat-trick to level things up for a second time and things plateaued between the two sides for a short period. Prince hit back in the 33rd minute to once again see her side into the lead but Tonga had other ideas and a wonderful cross from deep in the corner from Akolo was touched in by Finehika Finau second later for her first international futsal goal. 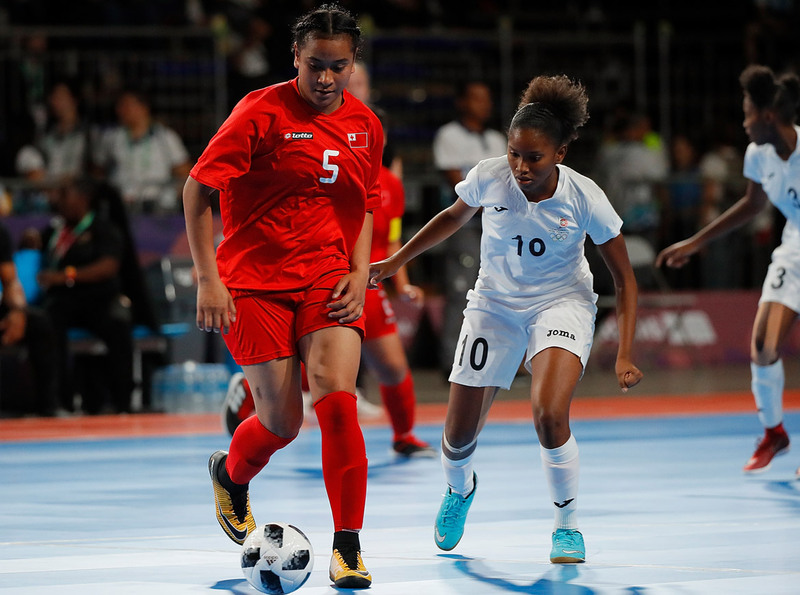 Tonga were then hit hard by a second yellow – and thus a red – for the talismanic Lutu, which left her teammates to fend off the talented Trinidad and Tobago attack for two minutes while a player down. They managed well conceding just one during that period, but Cornwall was on a roll following her hat-trick with room for one more on her tally to give her side victory by a two goal margin. It was a disappointing manner in which to finish the match from Tonga’s point-of-view after the spent the entire game matching up with their opponents. However they’ll be incredibly proud of the way they represented their nation, while also winning many hearts in playing in front of their biggest audience to date. Tonga still have two more matches in Buenos Aires to look forward to with games against Spain and Thailand to come.